Our bestselling Neo has been revamped to be better than ever. 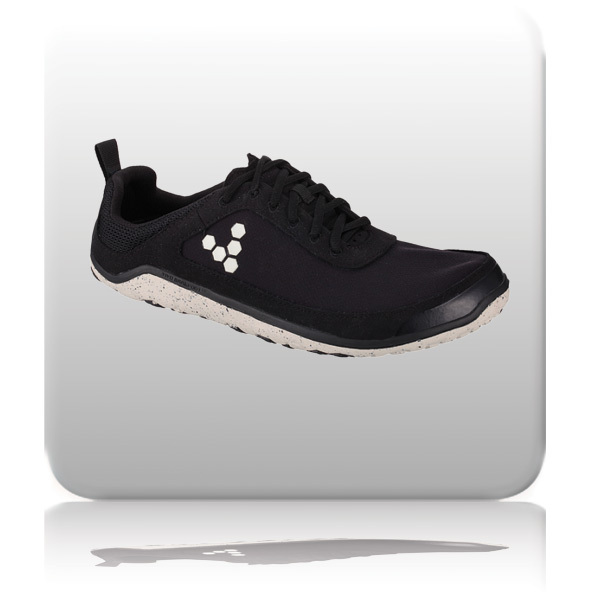 Still featuring the VIVOBAREFOOT performance hallmarks - a patented, ultra-thin, puncture-resistant sole, anatomic shape and zero-drop profile - it now has a water-resistant upper and perforated Eco PU toe guard with abrasion-resistant rubber. We've combined eye-catching retro styling with our multi-terrain outsole so you can reap the benefits of maximum proprioception with protection for skillful barefoot movement on any surface. Look good, feel great and move naturally. Lacing - Lace-up System: Fasten securely with simple tie-up lace. Sole Construction - Multi-Terrain: Soft, high abrasion, rubber, ultra-thin sole designed with hex-flex directional grip control and a patented, puncture resistant layer. Outsole Thickness - 5mm: Offering maximum proprioception with protection on a multitude of surfaces.